The School of Law was founded in 1925 as a part of the then-private, nonprofit University of Baltimore, in September 1970, the University of Baltimore School of Law merged with Eastern College and its Mount Vernon School of Law, which was founded in 1935. On 1st January, 1975, the school became a public institution when the University of Baltimore joined the State of Maryland’s system for public higher education. We educate students to become exceptional and principled lawyers to contribute to local, national and international discourse about the law and legal institutions; and to promote efforts to achieve justice in local, national, and international communities. As an urban law school, we value diversity, academic excellence, and public service, and seek to improve the legal system and the quality of people’s lives. The School of Law prepares its students to assume leadership roles in the public and private sectors in the city of Baltimore, throughout the state of Maryland, across the United States, and around the world. The Baltimore Law School is accredited by the American Bar Association and the Association of American Law Schools. Our graduates have a reputation as lawyers who “hit the ground running”—because UB prepares each student not only to think like a lawyer but also to act like one. The School of Law’s required and core courses provide the substantive and procedural knowledge that all attorneys must have. A comprehensive writing program, beginning the first year with the Introduction to Lawyering Skills courses and continuing throughout the curriculum, will hone your writing and language skills a lawyer’s primary tools. If you have an interest in taxation, you can pursue both a Juris Doctor and a Master of Laws in Taxation at the UB School of Law. The LL.M. degree can be earned by taking as few as 15 additional credits in the Graduate Tax Program. 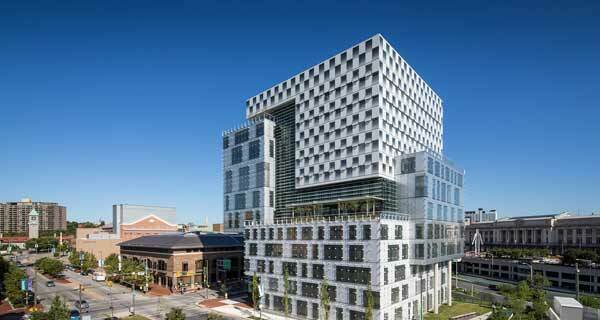 The University of Baltimore School of Law’s innovative LL.M. program focusing on the Law of the United States provides an ideal opportunity for foreign-trained lawyers to study at our leading Center for International and Comparative Law. We have designed the LOTUS program specifically for foreign-educated attorneys who want a comprehensive overview of the American legal system. We welcome students from all over the world, from countries including Australia, Bangladesh, Brazil, Cameroon, China, Colombia, Egypt, El Salvador, France, Germany, Ghana, Hungary, India, Iran, Iraq, Italy, Mali, Nigeria, Peru, the Philippines, Romania, Russia, Saudi Arabia, South Korea, Tanzania, and the UK. Our program offers a great degree of flexibility. LL.M. LOTUS candidates may choose to complete the program in one full-time academic year of coursework, or they may complete it in two years on a part-time basis. Our LL.M. LOTUS students create their own program of study by choosing either the U.S. Practice track, a broad survey of courses that provide the foundation of American legal concepts, or the Elective Concentrations track, which allows students to tailor their studies based on their area of interest. The LL.M. in Taxation is awarded to those entering the program with a J.D. degree or equivalent. To graduate, students must earn 30 credits in tax courses (10 to 12 classes) with a cumulative grade point average of 3.00 or better. All requirements must be completed within five years of enrollment. Through this joint program, you can earn a Juris Doctor and a Master of Business Administration degree in an integrated sequence of courses over three to four years. The MBA program, offered by UB’s Merrick School of Business, is accredited by the AACSB International. Online MBA courses deliver flexibility and convenience. This dual-degree program permits law students to apply nine MBA credits earned in courses 600 level and above toward the 87 credits required for the J.D. if the two degrees are completed concurrently. If the MBA is completed after the law degree, the law school will accept only six credits toward the law degree. Up to nine law credits may be used to satisfy MBA requirements. The Juris Doctor/Master of Public Administration program is ideal for students who want to use their law degrees in federal, state or local government agencies, as well as in not-for-profit or quasi-governmental organizations. The M.P.A. program in UB’s College of Public Affairs is accredited by the National Association of Schools of Public Affairs and Administration. Online M.P.A. courses provide you with flexibility and convenience. We offer J.D. /M.S. in Criminal Justice program combines, the Juris Doctor with study of the criminal justice system. Criminal justice students come from many backgrounds, including law enforcement, field administration, planning, research and casework, allowing you to gain insight into the criminal justice system not only through faculty, but from your classmates as well. Applicants interested in pursuing one of these combined degrees must independently gain admission to both the School of Law and the Department of Public Policy at the University of Maryland, Baltimore County. Nine graduate credits will be accepted toward the J.D. degree, and twelve to fifteen law school credits will be accepted toward the master’s or doctorate. Study Abroad Programs in International and Comparative Law Students must complete their first year coursework (two semesters for full-time day division students and three semesters for evening division students) before participating in study abroad programs. A student must be in good standing and have a minimum grade point average of 2.0 at the time he or she applies to either the Curacao or Aberdeen study abroad program. A 2.75 grade point average is required for any student applying to study abroad for a semester at another institution. Welcome to the University of Baltimore Law Library! Please take advantage of the services and resources we offer to help you succeed in law school and beyond. The University of Baltimore Law Library provides a variety of services to meet the information needs of the students and faculty of the law school as well as members of the public. Our goal is that you will find the law library a welcoming place with a staff ready to assist with your research and study. The library has 24 study rooms available for group study. Group study rooms are reserved for the exclusive use of current University of Baltimore law students. You may reserve rooms using the VEMS reservation system on the My UB portal.